Hello, My name's Bob Thomas. I'm currently lead singer in a f/t 8 piece soulband working out of Wakefield called 'The Solicitors'. Apparently you're looking for info/pictures of the old Harrogate band 'The Crawdadies'. 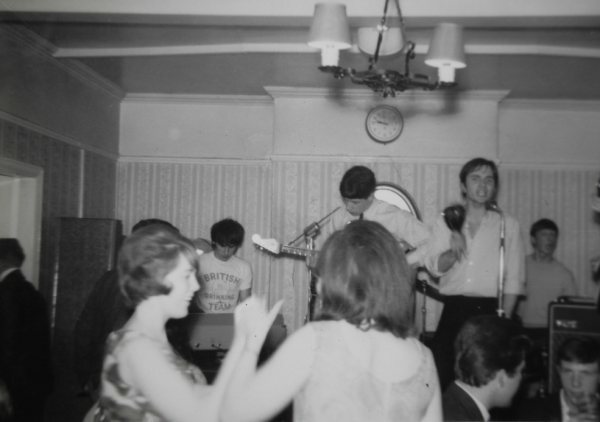 I used to play in bands around Harrogate in the 60s/early 70s & attach the only known photo of them that I'm aware of. John Fozard (the keyboard player at the time) who I later worked with in other bands has recently sent it to me. I'm afraid I don't know the others in the band, but John will be able to help you. He may have some other photos as well!! !